If you have been wanting a new Coach bag now is your chance! 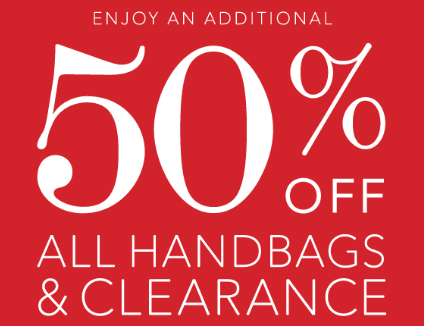 Coach Factory stores are offering an additional 50% off all handbags and clearance. The offer is not valid at Coach Full Price stores, department stores, or online. You can go here to find a store near you. See more retail shopping deals.